Since this is one of those dog breeds that is often misunderstood, I wanted to clear up a few things when it comes to the American Bully. 1. They are NOT pit bulls. What is a Micro American Bully? 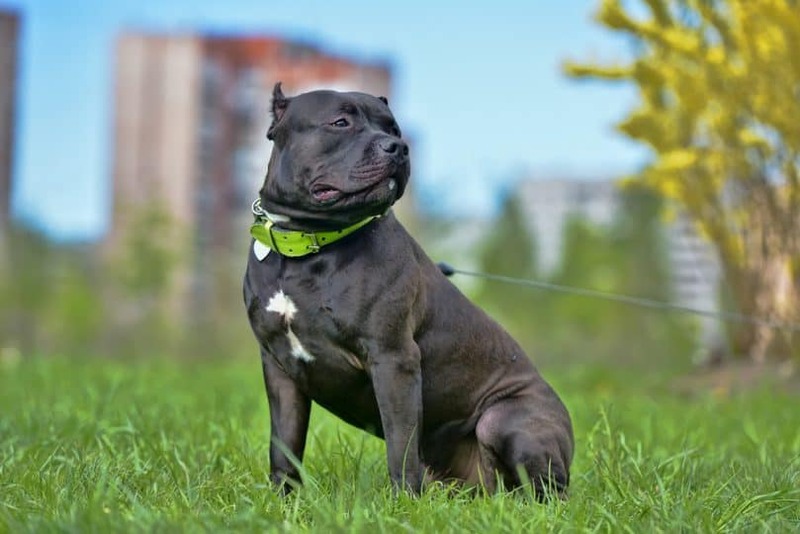 One of the most common misconceptions about the American Bully is that it is simply a type of pit bull, but the truth is these are two distinct breeds. 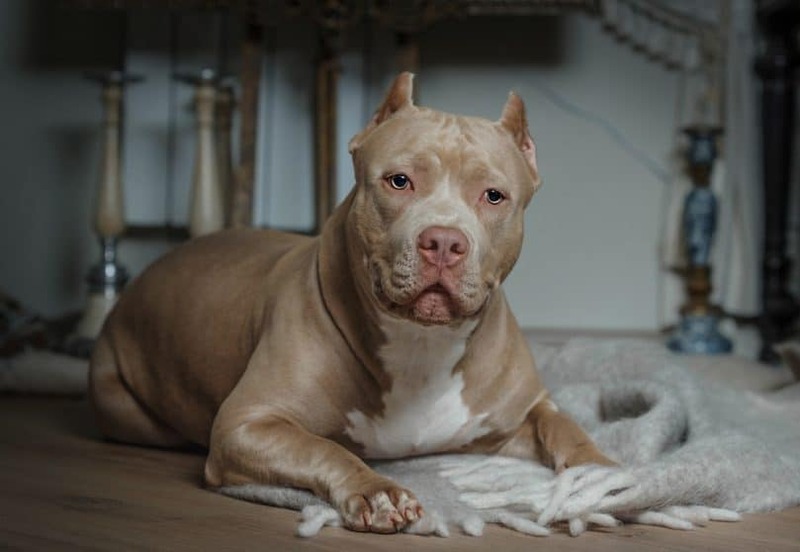 American bullies do come from pit bulls, but they have had other types of bully breeds mixed in so that they are no longer considered pit bulls, but have their own breed standards. There are also some breeds, which not registered through the ABKC, like Bully Kutta. Head size: The American Bully has a larger head compared to the pit bull, especially in proportion to their body size. Leg length: Most American bullies feature short legs, especially when compared to those of the pit bull. Only the classic type of the American Bully has average legs when it comes to length. Muscles: While pit bulls are certainly a muscular breed, muscles are something that the American Bully is bred for, so they typically have a number of well-defined, large muscles covering their bodies. Overall build: The overall build of an American bully is much wider than a pit bull. Their chests are broad and their legs are further apart. As you can see, there are some definite differences between the American Bully and the Pit Bull, despite their shared heritage. Once you understand how these two breeds are different, then you shouldn’t have any problem telling them apart. A standard male American bully stands between 17 and 20 inches (43-51 cm) while a standard female stands between 16 and 19 inches (40-48 cm). To be considered a pocket American bully, a male must be between 14 and 17 inches (35-43 cm) at the shoulder, and a female must be between 13 and 16 inches (33-40 cm) at the shoulder. Otherwise, this size has the same proportions and characteristics as the standard American bully. XL (Extra Large) American bullies are bigger than the standard size but should have the same build and overall proportions. Males are between 20 and 23 inches (50-58 cm) and females range between 19 and 22 inches (48-56 cm). At this time, this is the largest accepted size for this breed. Although the classic type of the American Bully is the same height as the standard, this type is recognized by a difference in build. These dogs are less muscular and have narrower frames than the standard, pocket, and XL varieties. 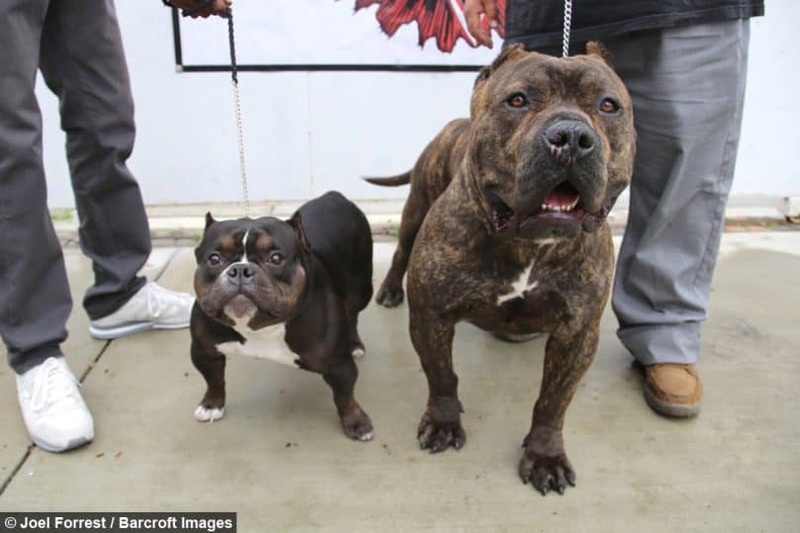 You may have heard of a Mini American Bully, Micro American Bully, or even a Micro Mini American Bully, but the truth is that these are not technically varieties recognized by the ABKC. Instead, these are simply alternate names for pocket American bullies. If you are looking for a small bully, then you may try using mini, micro, and pocket as you search online as many breeders use them to draw in people to buy their pocket American bully puppies, especially if their dogs are on the smallest end of the scale. Just keep in mind if you’re planning on showing your American bully that you shouldn’t get one that’s too small or you may find your dog penalized or even disqualified for not fitting into the height requirements. By now you’re likely wondering how much American bullies cost, so here’s the truth: bully puppies are expensive. Of course, it depends on whether you are getting one as a pet, to show, or to breed, but most bully puppies will cost somewhere between $2000 and $7000 each. High-quality adult dogs with proven track records for producing unique or outstanding puppies may sell for even more. One dog by the name of White Rhino, for example, once sold for $250,000. If you’re just looking for a great family pet, however, you’re likely to be able to find American bully puppies selling on the lower end of that price range, especially if they have traits that would keep them from being good options for showing or breeding. While some dog breeds have been around for hundreds of years, the American Bully is a new breed, having just been developed during the 1980’s and 1990’s. It was first recognized as a breed by the ABKC in 2004, and by the United Kennel Club (UKC) in 2013. The full history of the American Bully goes back several hundreds of years when bulldogs and terriers were used for sport. When these cruel animal-fighting sports died out, the remaining dogs were bred together and the first bull terriers were created. Over time, these dogs became a more diverse group and included many of the types of bully breeds listed above. 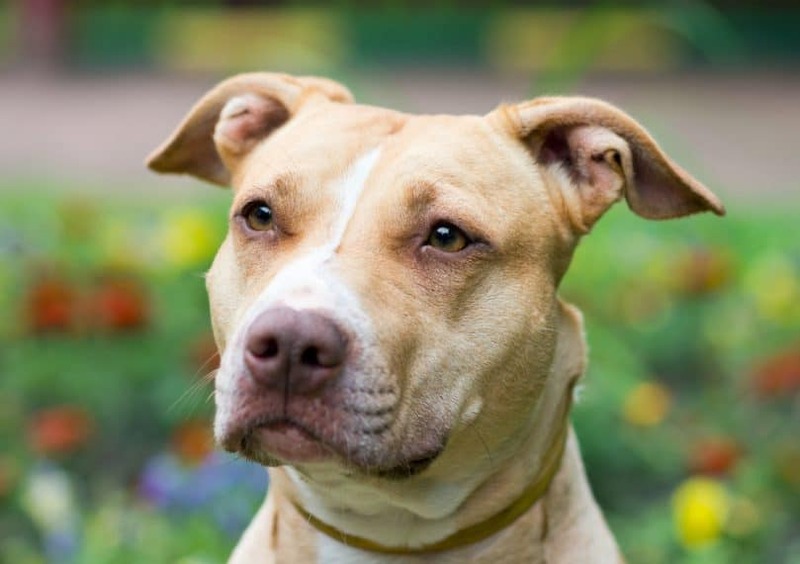 When breeders wanted to create the ultimate companion dog from these bully breeds, they began combining pit bulls with Staffordshire bull terriers and mixing in other breeds. They ended up creating the American Bully, a dog that has all of the characteristics that make these breeds great companions with the aggressive tendencies bred out of them. As long as you take excellent care of them, your American bully could live between 10 and 13 years. One of the things you need to do to ensure a long life for your American bully is to keep an eye out for these common health problems and talk to your vet if you have any concerns about them. Elbow dysplasia – This occurs when the bones that form the elbow joint in the dog’s front legs do not stay where they should. Demodectic mange – Animals with compromised immune systems are particularly susceptible to this parasite that causes scabs and hair loss. Atopy – This second most common skin problem in dogs is caused by allergies. Cerebellar abiotrophy – An inherited condition that affects the brain and nervous system, most symptoms will show up within days of birth. Cataracts – Although many dogs live for years with small cataracts that minimally affect their vision, others will need surgery to remove them or else face blindness. Progressive Retinal Atrophy – This incurable disease causes a dog to slowly lose their eyesight, first their night vision, and then their regular eyesight. Cleft palate or lip – These malformations of the roof of the mouth or lip can be purely cosmetic or much more severe and require special care and surgeries. Ichthyosis – Dogs with this condition will experience a thickening of the skin and paw pads as well as flaking of the paw pads. Hypothyroidism – A decrease in activity in the thyroid will cause dogs to gain weight, become less active, and lose their fur. Luxating patella – When a dog’s knee cap becomes dislocated, it will require surgery to resolve. Congenital heart failure – This serious condition causes the heart to become enlarged and fill the body with fluids. Something else that bullies are prone to is gassiness. This can be caused by a number of issues such as poor diet, food allergies, or bad eating habits. To avoid your bully suffering from gas, first make sure they are being fed a high-quality food. Then, start looking for other causes of flatulence in dogs. Like many other dog breeds, bullies love pleasing their owner which makes them easy to train. Of course, you’ll need to put in some work and make sure you stay consistent with training them, but you’ll soon find that this intelligent breed is a breeze to work with. Since the American Bully comes from working dogs, this breed has retained its abundance of energy. That means you need to be prepared to give them enough exercise that they don’t start to get bored. Bored dogs often turn into destructive dogs. If you’re not able to take your bully outside every day for exercise, make sure you’re finding ways to exercise your dog indoors. American bullies are one of the best examples of a perfect family dog. Loyal and loving, they’ve had aggressive behaviors intentionally bred out of them. This makes them great family dogs, so you can rest assured that you’re not putting your children at risk by bringing one into your home. One thing to keep in mind is that although one of the goals of forming this breed was to remove aggression, some bullies will still have problems with other dogs. For this reason, you should use caution when bringing an adult bully into your home if you have other pets. For a breed that requires little grooming, look no further than the American Bully. They have a short, smooth coat that only needs to be quickly brushed once a week or so. This is particularly good news for people that don’t have the time to devote to grooming their dog themselves or the money to regularly pay a groomer to take care of unruly fur. Something to keep in mind, however, is that this fur type also can get cold easily in the winter. So if you live somewhere that has particularly cold winters, then you may need to put your bully in a sweater or jacket to go outside side when the temperature drops too far below freezing. But, let’s be honest. A bully in a sweater is just about the cutest thing ever. 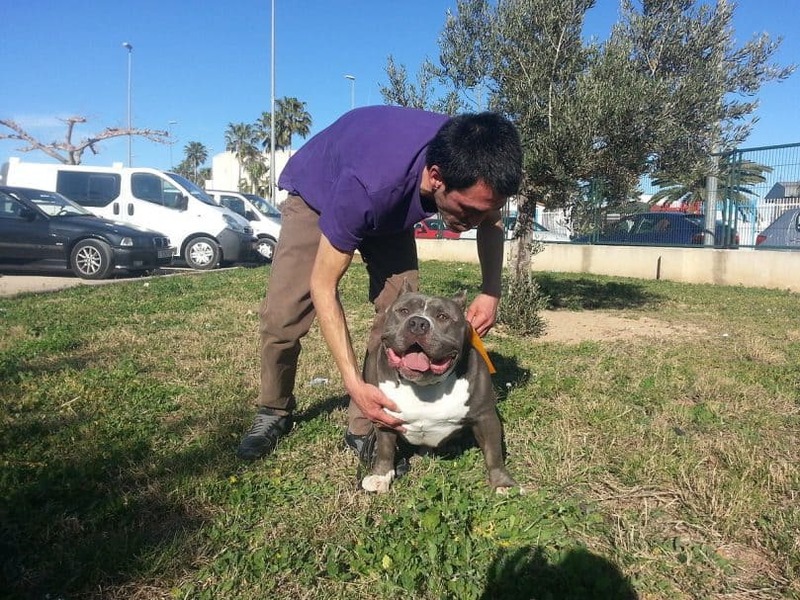 By now you’re likely wondering where you can find your very own American bully? You’re in luck! We’ve put together this quick guide to help you find the perfect bully puppy for you. Knowing what size bully you want will help you narrow down search results very quickly. Don’t forget to use alternate search terms such as “micro American bully puppies for sale” when you’re looking for a pocket-sized bully. What purpose do you have for getting a bully? Will you be breeding them as a way to continue improving the breed? Do you want to show them professionally or just for fun? Or, do you simply want an amazing family pet? Your reasoning for wanting an American bully will determine how much you are going to spend on one, what gender you get, and what you’re looking for in a dog. When you’re planning on breeding, you need to be extremely selective to make sure the dog you’re getting has as many desirable traits as possible to pass onto future generations. If you’re just looking for a pet, personality will matter more than physical features. Once you know exactly what you want, you can begin your search for a good American bully breeder. You don’t want to get a dog from just anybody, so be sure to take your time and make sure you find a good breeder. Now all that’s left is to give the breeder a call and let them know exactly what you’re looking for. They should be willing and able to help you pick out a puppy or dog that’s right for you. In most cases, you will have to put down a deposit on puppies and dogs in advance, so be prepared to do that. I kind of skipped a step here, because you should get your home ready before you bring your puppy home, but that’s certainly part of bringing a dog into your home. You’ll want to make sure your house is “puppy-proof” so that they can’t get themselves into too much trouble and that they’ll have plenty of toys to play with in addition to everything else they’ll need. We can learn a lot from these dogs that look tough but are actually sweet and loving. Rather than judge them by their appearance, we should see through that to see what an incredible dog lies beneath a muscular exterior. 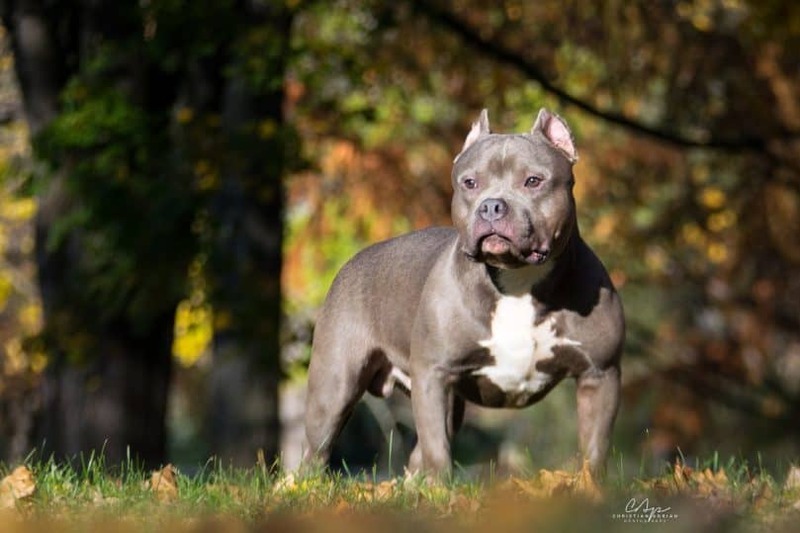 Whether you’re considering buying one or simply curious about this new breed, I hope this post has given you everything you need about the American Bully. What do you think about this breed? Do you own one already or are you looking to get one in the future? Share your thoughts in the comments below. I noticed that you provided information for contacting a breeder… I think you 1st be providing links to Rescue Organizations that work specifically with this breed since most of the dog in shelters at any given time is the bully breed. They need homes and they offer these dogs at all ages. We need to save more of these dogs from being put down for simply not having a home… and this you really an opportunity for your organization to help by providing it’s readers with better options than just breeders. I’ve added a few now! Honestly!? !… I never thought of owning one because of the pit fighting and mean lifestyles a lot of pitbulls have had throughout the years. But on day a Facebook post appeared in front of me from one of those ” In your area postings,” and it called out to me. Something inside me needed to go meet this 1 year old Miniature American Bully, so, I did. Once we laid eyes on each other, we had an instant bond that will never be broken. She is the bestest companion in the world! I never had a dog like a American Bully ever before. I will never want any other dog again besides American Bullies!!! HONESTLY! they will change your heart and your outlook on Judging things by their cover. Like for real! *IT’S ALL ABOUT THE HEART THAT Determines who that person or thing is. Before I owned Arya, She was beaten and abused, felt alone, was never socialized with other humans or dogs. So She had major anxiety issues and was afraid/shy of anything new that I felt she would have a trouble understanding. She didn’t know how things worked. But all that change once I bought her HOME! I swear these dogs can read your mind and feel what your feeling. *American bullies are not pits. *They usually have great lifestyles. *They are very easy to train. *They are the BEST cuddle buddy! *THEY ARE THE BEST GUARD DOG! *GREAT HEARING and sense of smell. *They love being around their people. Thank you for this wonderful post! I am new to this breed, and have been looking after a neighbors bully. I was worried at first, but this info has me more at ease. Not that I would ever leave my guard down of course!